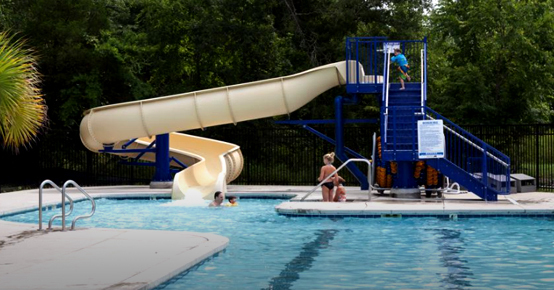 Blakeney has a beautiful pool with a wading pool for kids for summer time use. 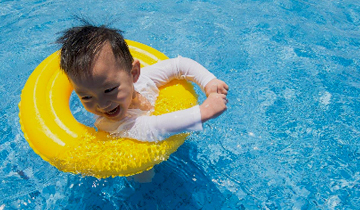 The pool includes a separate lap lane for experienced swimmers along with a fun water slide, and there’s a separate wading pool area for young children. Ample lounge seating on the deck provides for comfortable poolside leisure activities. Lifeguards are on duty in the Summer months. All of our lifeguards are certified in first aid, CPR and safety as well as instruction, and are available for private swim lessons by appointment. All Children of Blakeney members are invited to join the Blakeney Lion Fish Swim Team. We encourage all members to participate for a great physical fun activity, meet other members and cheer each other in a positive team environment with a great reward of exercise. Our goal is to keep everyone motivated to have fun, while improving your child’s individual skills. 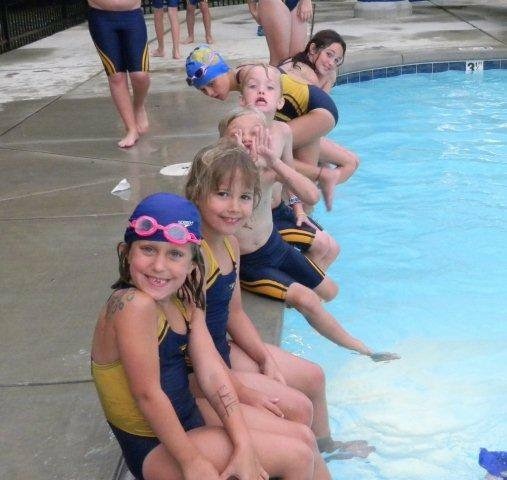 -Swim lessons will start the week of June 12 and will be offered for 10 weeks. 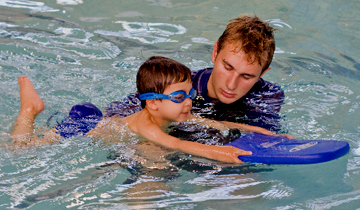 -Kids that never swam before must do private lessons first until the instructor feels comfortable for group classes. Private lessons only and you can schedule on your own time at the front desk. To sign up and pay, please come to the front desk. 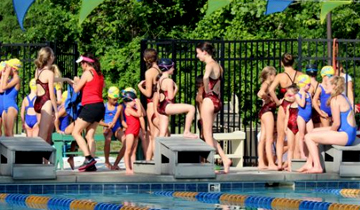 The swim team is the best way to get your kids involved in swimming at an early age. We ask members and their guests to please follow the signs and rules that are posted around the pool. All members and their guest must sign in the pool house prior to using the facility. Please follow Blakeney club rules and other new policy that might be created by the pool governing guidelines. We ask everyone to please shower first prior to entering the pool. You must have proper swim attire at all times. No personal loud music allowed. You must bring your own towels for use. Please read slide rule and other safety rules at the pool area. Children with diapers are not allowed on the big pool. Children under 10 must not be left alone with out a parent. For more updated pool rules please see the front desk. Come and join the ever so amazing lion fish swim team for some fun swimming and building team spirit.